Hemophilia is a genetic bleeding disorder wherein the body’s ability to control the stoppage of bleeding is impaired. Normally after one gets injured the bleeding stops after sometime. There are some chemical factors in the blood that are responsible to halt the bleeding. These chemicals in the blood are called as clotting factor VIII and factor IX. A deficiency or absolute absence of these factors can keep one bleeding slowly for minutes together. Hemophilia is a genetic disorder caused as a result of the deficiency of factor VIII (called hemophilia type A) or factor IX (called hemophilia B).Hemophilia is derived from the Greek word which has an interesting meaning, “Haimaphilia”, Haima means blood and philia means love. It is most likely to occur in male children because of the association of this trait with a specific kind of genetic material, called the X chromosome. As males have two X chromosomes they are likely to inherit and show symptoms. Whereas females have only one X chromosome hence they usually just carry the genes without showing any symptoms. The hemophiliacs usually suffer from bleeding tendencies (internal or external). If they suffer from any injury, there is prolonged bleeding due to loss of clotting factor (factor which is responsible to form a scab and stop the bleeding). Patients have a tendency to bleed into the joint space especially into the knee joints without any evident injury which can also lead to permanent disfigurement and disability (called as Hemophilia arthropathy). Children with mild to moderate hemophilia usually are symptom free but may have tendency to suffer from bruises and injuries after the slightest falls. Mild hemophilia may be noticeable and accidentally diagnosed after a prolonged bleeding in a dental procedure. Hemophiliacs are prone to contract any infection like frequent cold and cough more easily compared to the normal individuals. There are various homeopathic remedies which prove to be useful in controlling the bleeding tendencies in hemophilia. These homeopathic medicines have an affinity for acting on the blood vessels, capillaries and helps in accelerating the healing mechanism. The medicines like Lachesis, Crotalus Horridus, Phosphorus, Millifolium and Ipecacunha are known to be good remedies for hemophilia treatment in Homeopathy. These when potentised (a unique process of making medicines in homeopathy to arouse the hidden medicinal properties of the medicine) help in tackling bleeding in haemophilia. They are known to stimulate the factors in the blood vessels in order to facilitate the healing process and stop bleeding. Homeopathy in the treatment of hemophilia can be given as a supportive line of treatment especially in long standing cases. Acute exacerbations can be tackled with the conventional line of treatment. Hemophilia treatment by homeopathy reduces the dependency on clotting factor concentrates which are expensive and may be not affordable for every individual. There is always a risk of contracting HIV and Hepatitis C during the transfusion of the factor concentrate. After a long term transfusion the patient becomes further immune and starts developing antibodies which moreover needs a different plan of treatment. Homeopathy is a cost effective mode of treatment which helps in reducing frequency and intensity of knee pain when it comes to hemophilia knee arthropathy. 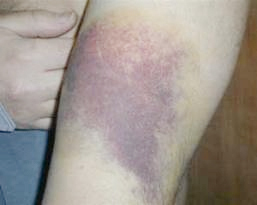 The frequency and duration of bleeding, easy bruising can be reduced. There is no threat of any side effects due to the long term homeopathic treatment. It is easy and safe to take homeopathic medications for a long time. These medications act at the immunity level. The immune system is boosted in order to avoid the recurrence of infections which occurs frequently in hemophiliacs. Cold and cough is a common entity found which can be taken care of with a correctly selected homeopathic remedy. Thus in conclusion, Homeopathy has a good scope in hemophilia treatment. Welcome to the gentle healing through homeopathy! To know more about hemophilia treatment at LifeForce Homeopathy, get in touch with us at +91-22-66888888 or write back to us at info@lifeforce.in. You may also leave your comments in the box below. Phosphorus 0\1 in 50 mill.could this cure it permanently ?? Dear Dr. Shah, Reading your article I am very happy to know there is something for Hemophilia. I am 60 years old patient of severe Hemophilia “A” from Mumbai. Kindly help me. Hemophilia is a difficult disease to manage. It calls for the systematic and strategic integration of the conventional medicine as well as homeopathic medicine. Homeopathy in the treatment of hemophilia can be given as a supportive line of treatment, especially in long standing cases. However acute exacerbation can be tackled with the conventional line of treatment. It has a good scope in homeopathy as it reduces the dependency on clotting factor concentrates. Homeopathy assures to improve the quality of life of the patient reducing frequency and intensity of bleeding episodes. Homeopathic treatment help patient’s to lead an independent life by further increasing the life expectancy. My brother age 26 deficiency of factor viii (level 4 right now) . In homeopath are he cure.